If you have that song by the Clash in your head now, congratulations, that was my primary purpose in writing this article. Kidding. Last time I took you on a quick but fun tour of my home to show how I’ve applied some of the folk magic I’ve picked up over the years in my personal life. Today, I’m drawing some inspiration from Sarah Lawless, whose article on “Pantry Folk Magic” is one of the finest pieces on using what’s at hand for practical spellwork that I’ve ever read. I’m also inspired by an article on “Grocery Store Magic,” in The Black Folder, a compilation of workshop notes by Cat Yronwode (which I recently reviewed), and I’ll be citing both of these sources as well as several others in the coming few paragraphs. 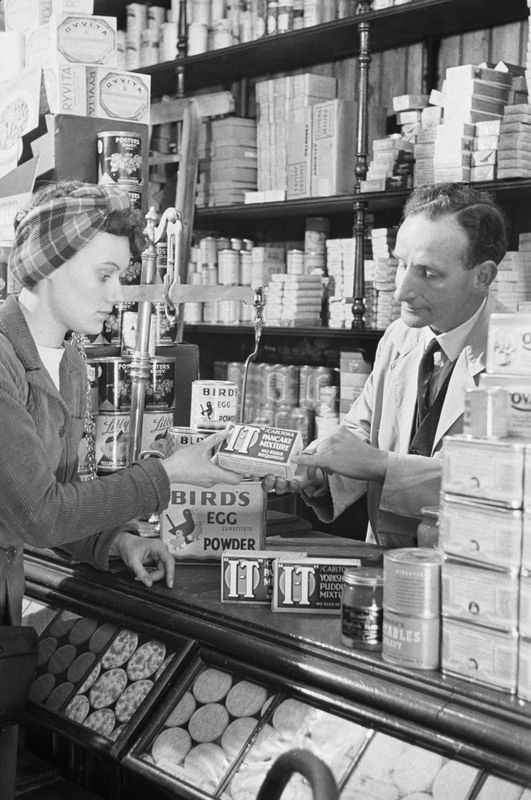 There are plenty of articles out there on doing magic from the grocery store, but I wanted to go beyond the spice aisle a bit and look at the vast number of folk magical items that may go a little under the radar in a standard shopping trip. Before we go much further, I do want to mention that I don’t think the grocery store is the end-all be-all of magical supply houses. I prefer by far to grow or wildcraft my own botanicals, use hand-crafted incenses from a local occult shop, and carry talismans picked up at the nearby Catholic bookstore in a lot of cases. Supporting community commerce and doing work oneself fits in as well or better with most magical practices than grabbing a mass-produced box of incense from a five-and-dime shelf, but there are always going to be cases where magic must be done on short notice or with supplies not readily purchased at the witchy store. In some of the cases below, it should also be noted that the grocery stores where one can find these ingredients are not the big chains, but rather local bodegas or international markets. You are far more likely to find chewing john (galangal root) in an Asian market than in a big chain one, for example. Now, on to the tour! One of the big resources that frequently gets missed in grocery store magical item lists is the cornucopia of candles that can sometimes be found. 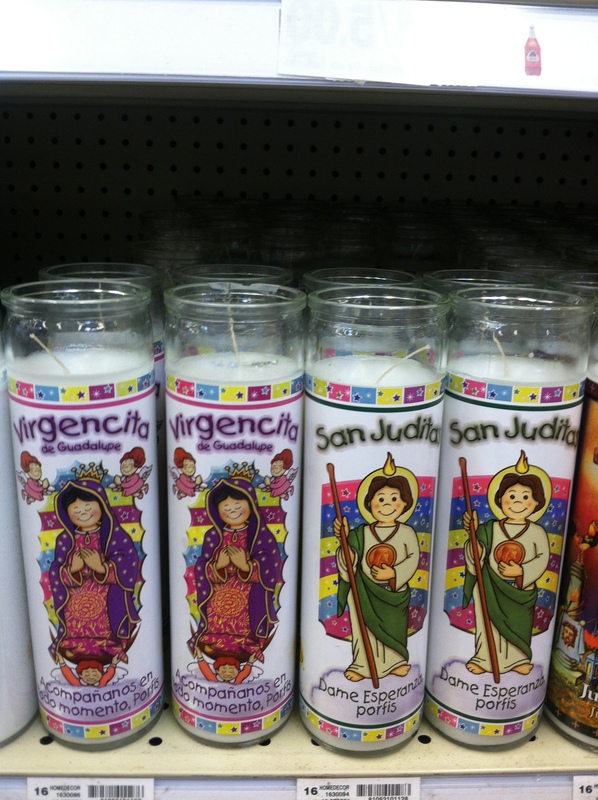 Of course, a lot of stores carry scented jar candles and those are reasonable enough for doing some workings, but if you look in the Latin American or Hispanic section you can often find a number of saint candles as well. I’ve found everything from the standard Virgen de Guadalupe to Santa Muerte, Seven African Powers, Just Judge/Justo Juez, and even a Lucky Lotto Numbers candle just by browsing a little. Below you can see a pair of very cute candles which look like children’s novenas for working with Guadalupe or St. Jude, found at a mid-level chain grocery store. The novena candles are also frequently available unlabeled and sometimes in multiple colors. It’s fairly easy to customize them to your own needs and do extended spellwork using these tools. The candles don’t stop there, though. Say you want to do a quick-and-easy candle spell, but you know you won’t have time to burn a candle 1-2 hours per night for nine nights. Stop by the baking section and grab birthday candles, which are small and burn very quickly. Will it change the potency? Perhaps, but you’ll be able to at least do what you want to do. They also frequently have letter or number shaped candles, so you might be able to use those to target a specific goal or person with the spell (especially if you’re knowledgeable about numerology and can figure out the right number(s) for the job). If your grocery also has a Jewish section with kosher options, check to see if they sell Shabbat candles. They frequently come in boxes at a very reasonable price, and are specifically designed to be used for spiritual purposes (albeit non-magical ones in most cases). These burn longer than the birthday candles but much more quickly than novenas, and so would be good for mid-range spell work. We’ve mentioned these a bit in our previous post on Spiritual House Cleaning, but here I mean less of the whole-herb types and more of the mass-produced stuff. Harshly-scented cleaning solutions with abrasive chemicals and artificial odors may not seem like a particularly likely place to find folk magic, but it’s there if you look for it. One of the most common of household cleaning agents, ammonia, acts as a substitute for urine in some spells. Cat Yronwode suggests in her Hoodoo Herb & Root Magic that ammonia can be used in spells focusing on protection and spells designed to improve sales, either at a business or of a home (Yronwode 29). In Spiritual Cleansing, Draja Mickaharic mentions ammonia’s great psychic cleaning powers and notes that putting a little bit down the drain after a house blessing & cleansing will help finish the job. When you want a person who is indited punished, write the name of the person in jail on a slip of paper and put it in a sugar bowl, or some other receptacle of the kind. Put in red pepper, black pepper, one penny nail, fifteen cents of ammonia and two keys. Drop one key down in the bowl and lean the other against the side of the bowl. Go to the bowl every day at twelve and turn the key that is standing against the side of the bowl to keep the person locked in jail. Every time you turn the key, add a little vinegar (Hurston 382). 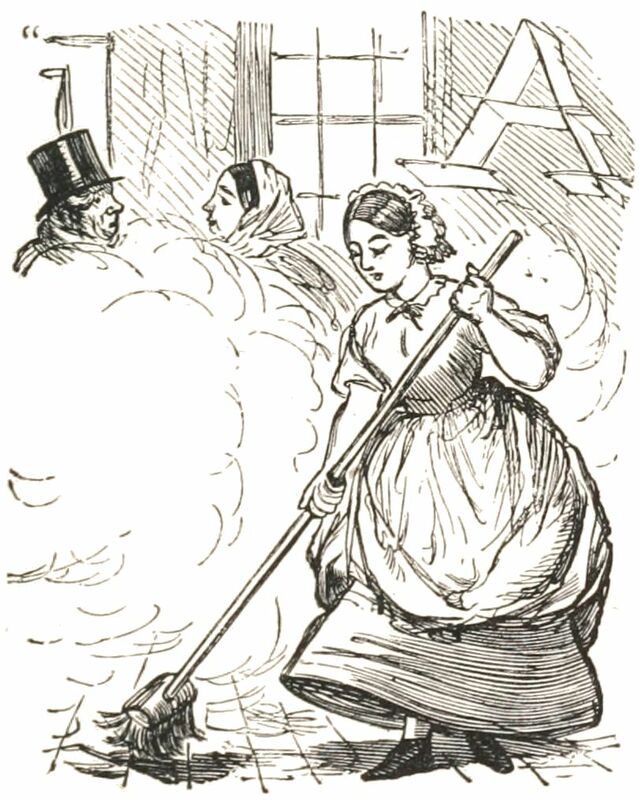 I find it interesting that both ammonia and vinegar seem to be able to perform cleansing functions in a household, but applied to an individual their corrosive nature seems to become destructive. I think this illustrates the principle of the two-sided coin of magic nicely, though, as the same ingredient that can save you from nasty spirits might also be turned around to damn an enemy. Before I move off of cleaners, I want to mention a couple of the commercial products out there that have some magical history and applications. First, the famous Pine-Sol cleaner, which has been found in grocery stores for almost 60 years. The product was born in Mississipi, and even today contains pine oil to give it cleaning power and its trademark scent (along with a hefty dose of chemical salts and alcohols). Pine oil is another spiritual cleanser and refresher, in addition to having some mundane cleaning properties as an antibacterial and antiseptic disinfectant. It works a lot like lemon does in spiritual cleansing—so much so that one of Pine-Sol’s first offshoot scents was lemon, although now they have half-a-dozen different aromas to choose from. While I’d never suggest using a commercial pine cleaner on the body (or in the body especially…that’s a big no-no! ), some folk magical traditions have used pine oil-based treatments for medical ailments (there’s a fine example in Hohman’s Long Lost Friend, for instance). So the presence of lemon and pine has the power to cut through spiritual ailments as well as the nasty germs lingering on your kitchen floor. You can make a variant of your own pine oil cleaner by simply adding pine oil to some salted water with some castile soap dissolved in it. It won’t be as strong as Pine-Sol, but it also won’t be quite as harsh. You could even add a bit of lemon juice or lemon oil to that, too, for extra kick (both spiritually and microbially speaking). Since we’re talking of lemons and soap, I can’t help but at least briefly mention Murphy Oil Soap, which has been treating hardwood floors for over a century (although only in a mass market for about half that time). The cintronella oil in Murphy’s has a citrusy, lemony scent, and is both a lucky and cleansing ingredient in spiritual work (it’s one of the oils used in Van Van Formula). Queen of Pentacles Conjure notes that both Murphy’s and Pine-Sol make great additions to the spirit worker’s cleaning closet. Citronella keeps away mosquitoes, too, which makes me love it even more. I’m going to pause here before continuing through the aisles, as this article is already quite long. There is plenty more to see as we make our way through the store, though, so stay tuned!